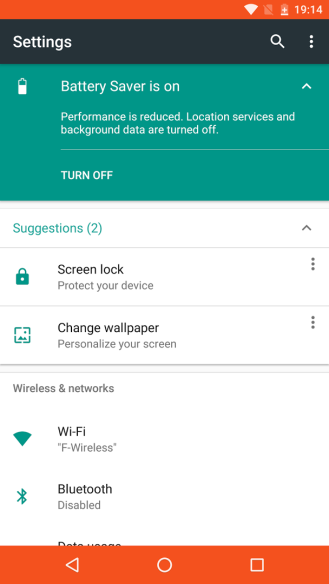 We've already covered lots of changes in Android N's settings menu, but one thing we didn't mention is a new Suggestions box that shows up on top of the settings but below the contextual settings (for Battery Saver or Data Saver for example). 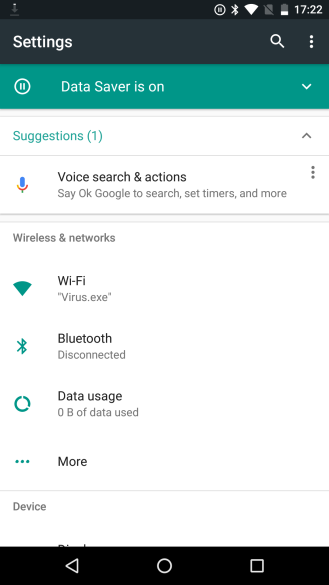 When you first launch Android N and if you haven't activated Google Now / OK Google yet, you'll see a suggestion to go to Voice search and actions and enable it. 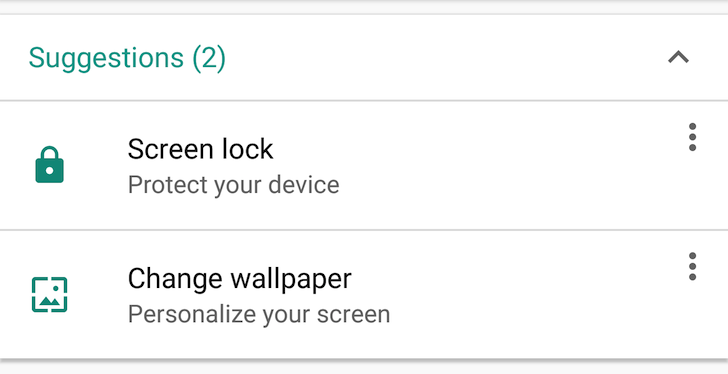 After you start using your device, you'll start seeing other suggestions like changing the wallpaper or setting up a screen lock if you haven't already. 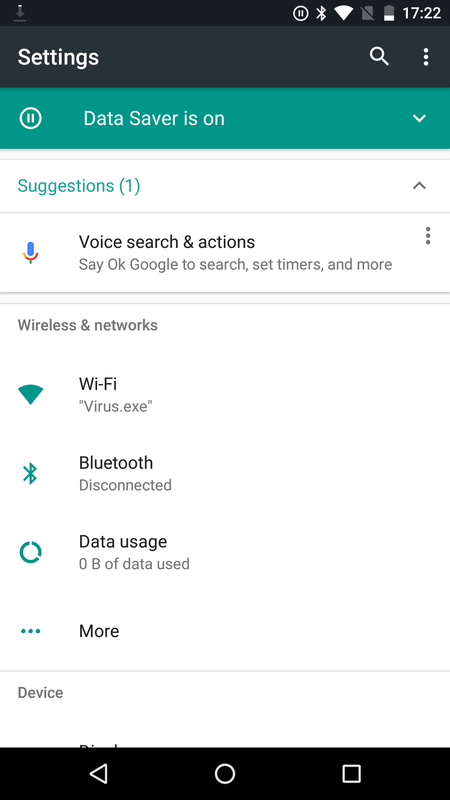 For now, these suggestions seem to be smart and not pester you with settings that you've already modified. 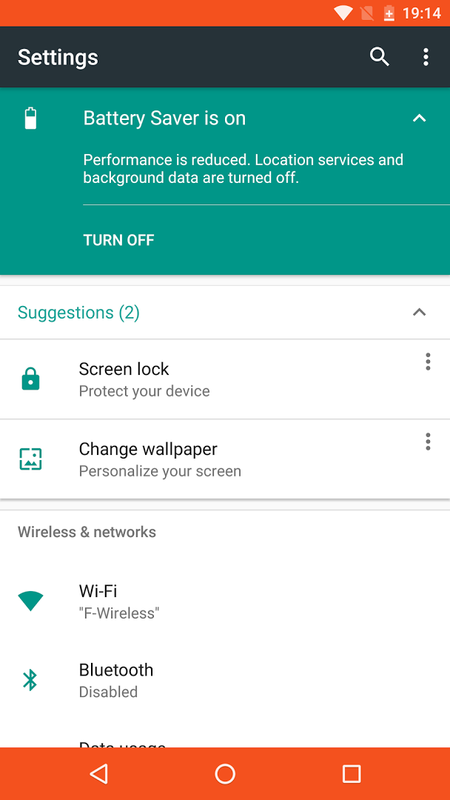 But if you find that they are intrusive or that you keep getting a suggestion for something that you don't want to change or set, you can always tap the overflow menu and select Remove to take it off your screen and declutter your settings.